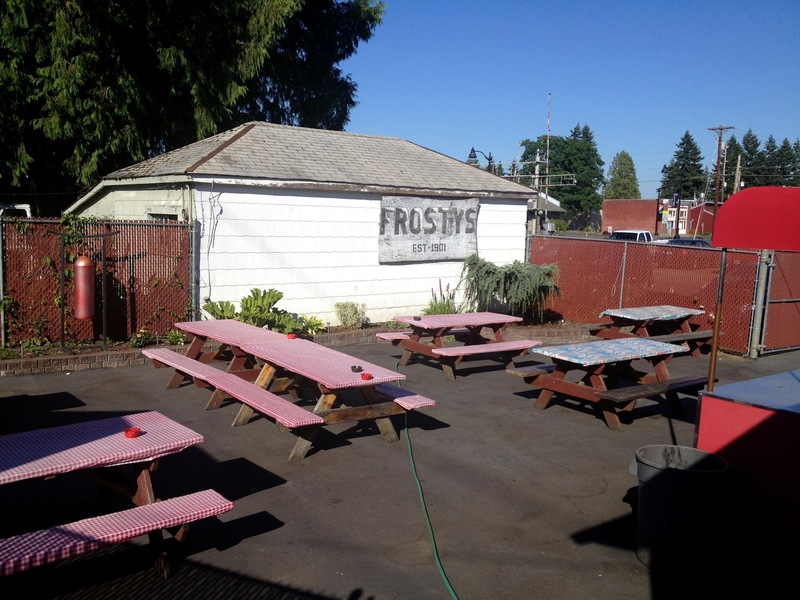 Frosty's is a big, bustling, barn-like place that has been in Napavine, Washington for a long, long time. 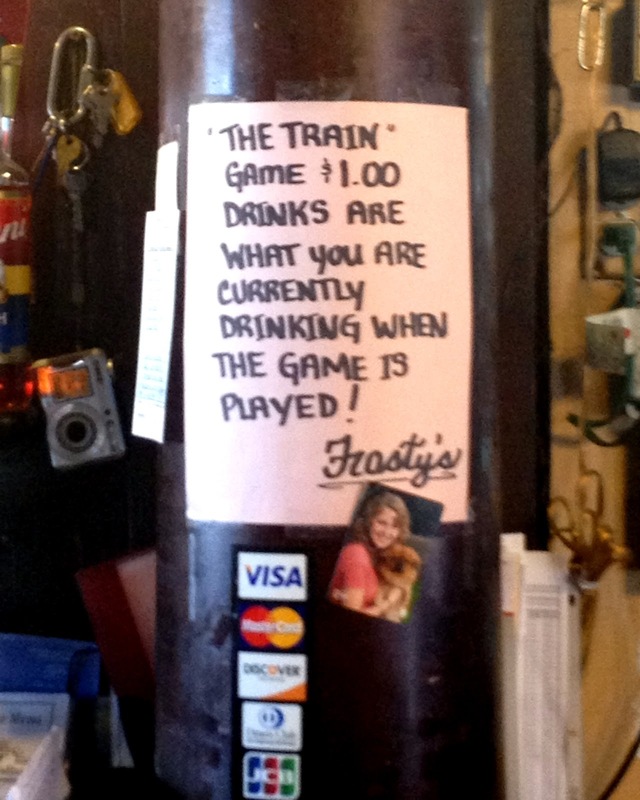 The bartender told us that Frosty's has been a bar in its current location and with the name Frosty's since 1901. 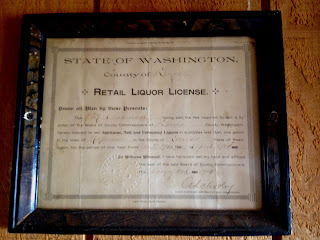 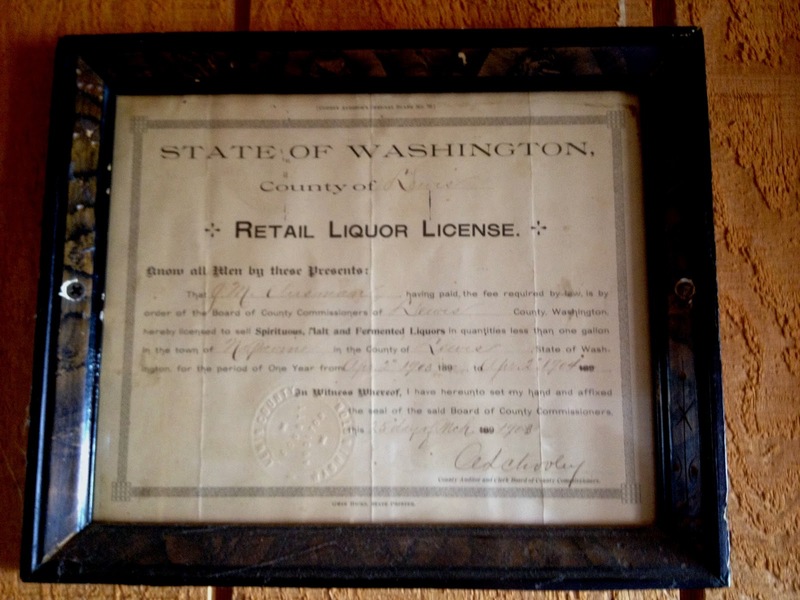 I haven't seen any primary sources verifying this, but they have liquor licenses going back to at least 1903 framed right on the wall. 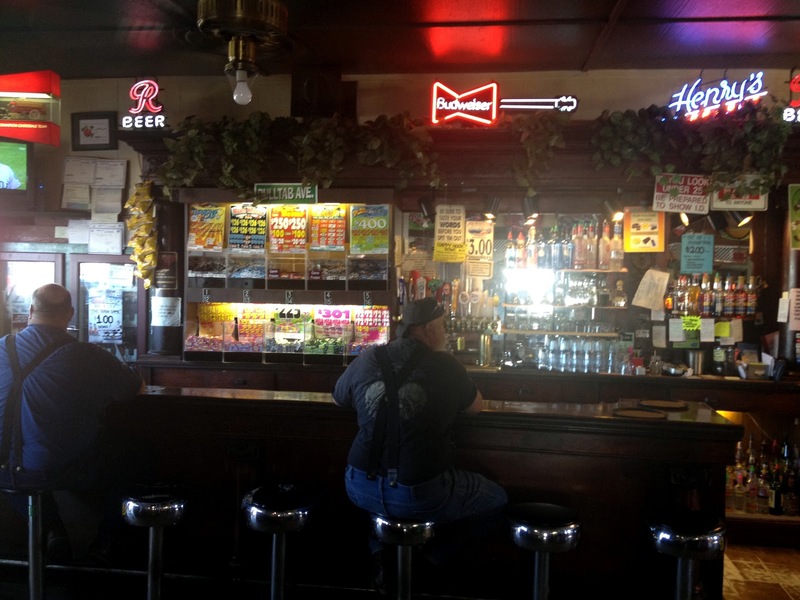 The oak back bar itself is said to date to 1902. 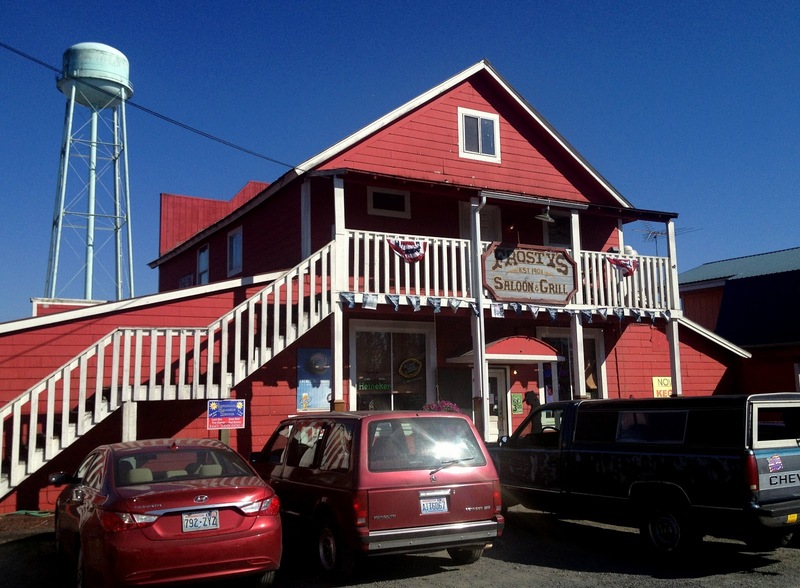 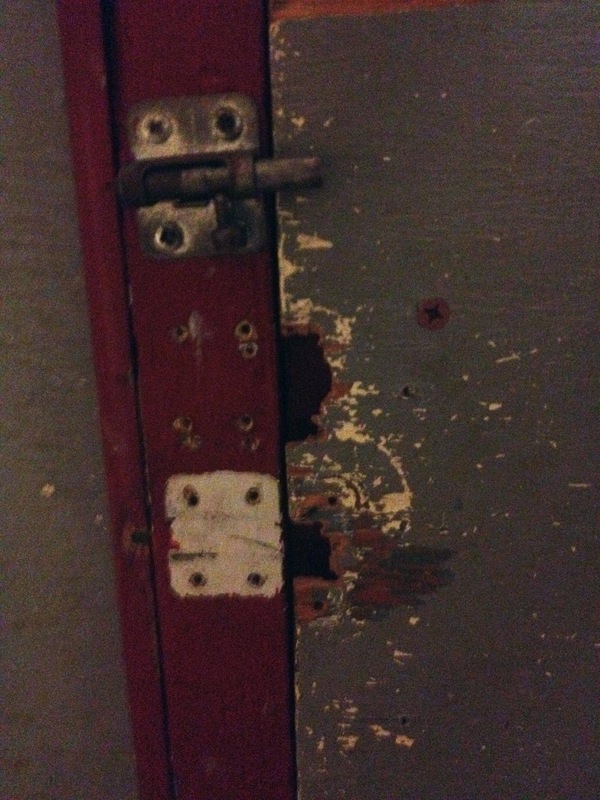 The building is roughly split in two with a family restaurant side and a bar side. 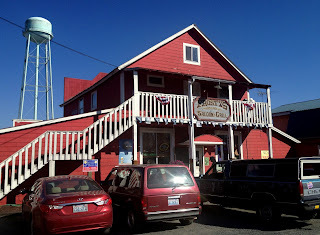 The food is American pub food, with burgers, salad bar, etc. 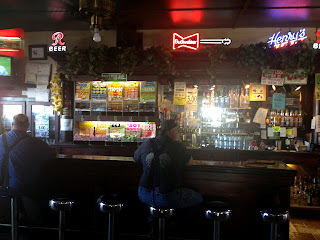 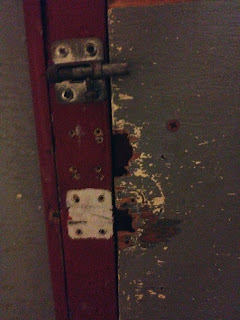 The bar sometimes features a ghost, which is dressed like an old logger and is presumably an old customer who has found nothing in the afterlife to compare.